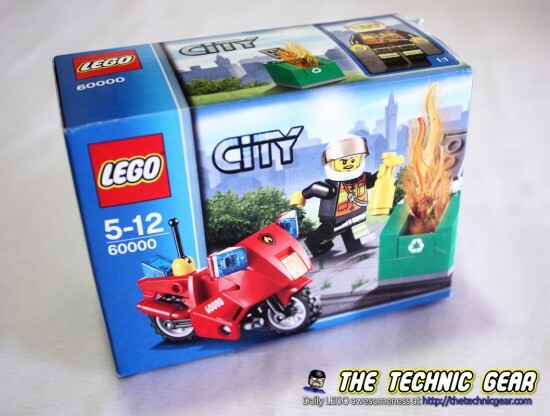 Another fast LEGO review, this time the 60000 Fire Motorcycle. Many small LEGO lately, isn’t it? I am stocking for a proper scenario based mainly on LEGO City. So without more delays… the review. Where can I buy LEGO 60000? 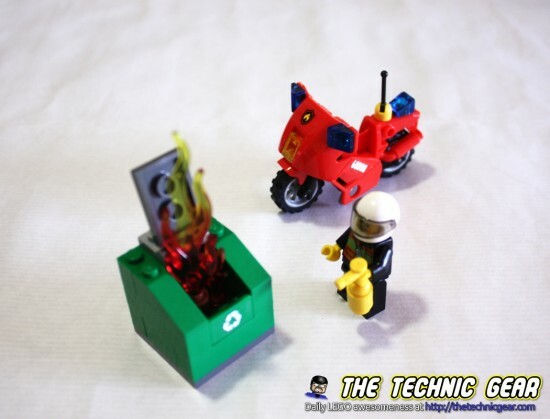 Race to the scene of the LEGO City fire on the Fire Motorcycle! Race to the recycling container fire on the LEGO City Fire Motorcycle and use the fire extinguisher to put out the flames! 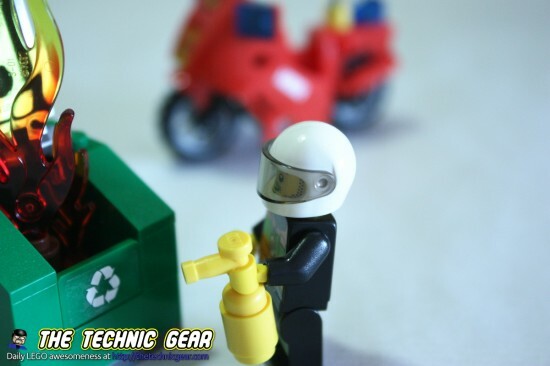 Includes firefighter minifigure with fire extinguisher Features Fire Motorcycle and a recycling container Recycling container features opening lid. Also includes 2 flames Put out the fire! Another small set in a small box that it is half empty. Well… at least it isn’t expensive. Sorry, what? You won’t even realize you build it. Here is the infamous timelapse video. It looks fair enough and the fire looks quite good. Does LEGO 60000 worth the money?